its not a comment..sorry victor. im from india ( no thats not part ofthe query)...i've been into animation (6 years) ,children's illustration and themepark design ( 4 years). Im currently preparing my portfolio for the art department of pixar. (wanna apply for stoy as well..duno wat a portfolio for story depatment looks like!!). I've never had a chance to attend art classes and applyin for Pixar,hence, doesnt have a clue wat it takes to get into art/story department. i've been searchingall over youtube to get a glimpse of a 'pixar selected art portfoli'..but came upon nothing so far. If its not against any policies..can i get to see your art portfolio?..or soembody else's art portfolio which made them get a job in pixar? its just to understand what is the skeleton of it. there are about 4 pages..
i've put all my personal stuff there..
can you pls tell me if im getting close? or rather any comments pls..
im very open to improve things to any degree. just some help or a comment ..
sorry for such a messy response. i will consider myself lucky if i get a response from you. yay! I'm incredibly excited for TS3!!! 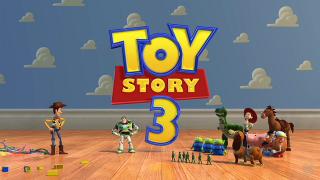 toy story 3!!! holy guac... thats awesome .. when is the plan to have this one out>? I just visited your site since.. wow.. forever.. I just wanted you to know that even though you dont know me.. or probably remember that i wrote you an email when i think i was like 15 years old.. im 24 now.. and your a huge inspiration to me.. 2 major reasons.. you do what you love( i would love to do that) and you wrote me back.. i mean i know your not the president or anything.. but really i thought that was so nice of you to entertain the email of a little budding artist at 14.. since then i have had some formal training.. and have gotten much better.. let me know if you would like to see some new work... but mostly i was passing through so i could show you some love on your site!